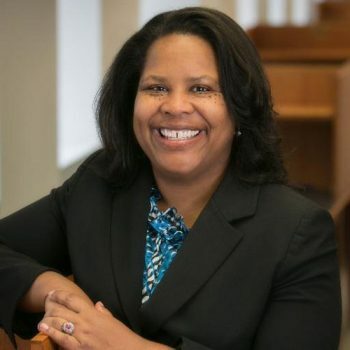 FARMINGTON, ME (April 10, 2019)—The University of Maine at Farmington is proud to present a talk by Dean Danielle Conway, dean of the University of Maine School of Law, Monday, April 15, 2019, at 11:45 a.m., in Lincoln Auditorium in UMF Roberts Learning Center. The event is free and open to the public. Conway will be presenting “Developing Leaders for Service to Rural Communities,” a talk about leadership and the law school’s rural lawyer project. The program was created in response to the lack of access to lawyers by Mainers living in rural communities. According to the Maine Law Magazine, the program aims to pair students with rural lawyers who serve as mentors, provide students with direct exposure to rural practice and inspire them to consider pursuing careers in these communities.